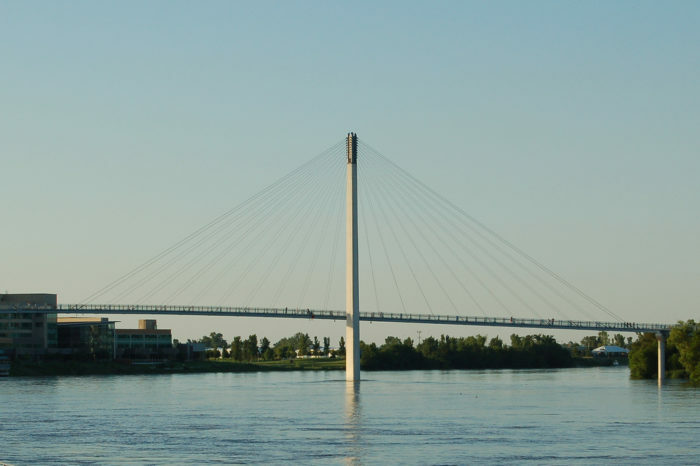 If you’ve ever spent time along the waterfront in downtown Omaha, you’ve no doubt seen the graceful behemoth straddling the Missouri River. 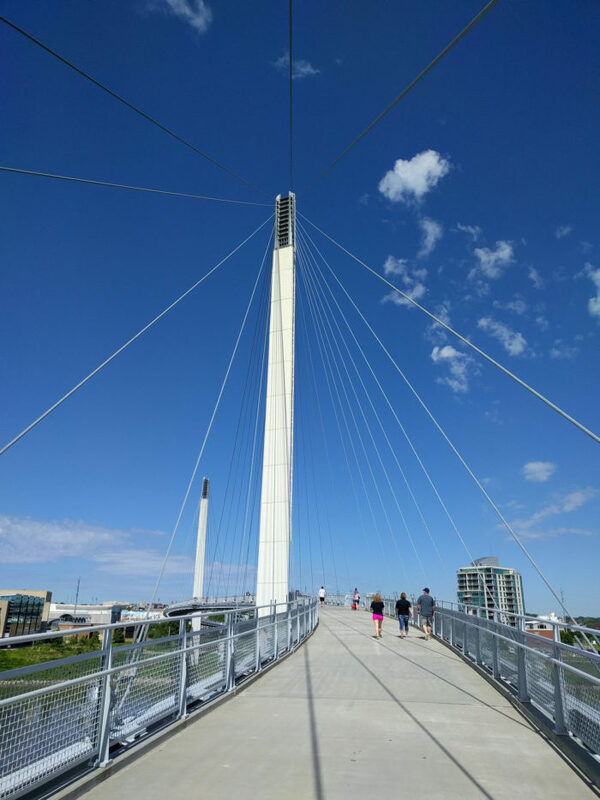 The Bob Kerrey Pedestrian Bridge is an impressive sight, to be sure, and a lot of fun to walk over. But the 3,000 foot walkway is so much more than that. 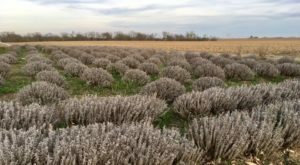 It breaks records and connects two states, all while looking positively magical. 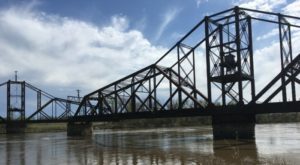 Interest in building a footbridge between Omaha and Council Bluffs, Iowa had been strong since the late 20th century. The vision for the bridge was to create a safe and beautiful spot for gathering, exercising, and sightseeing. The bridge's construction was finished in 2008; the project cost an estimated $22 million. 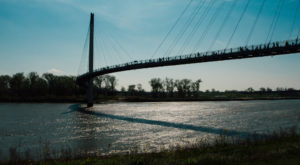 Nebraska senator Bob Kerrey secured $18 million in federal funding for the project, earning him the honor of lending his name to the bridge. 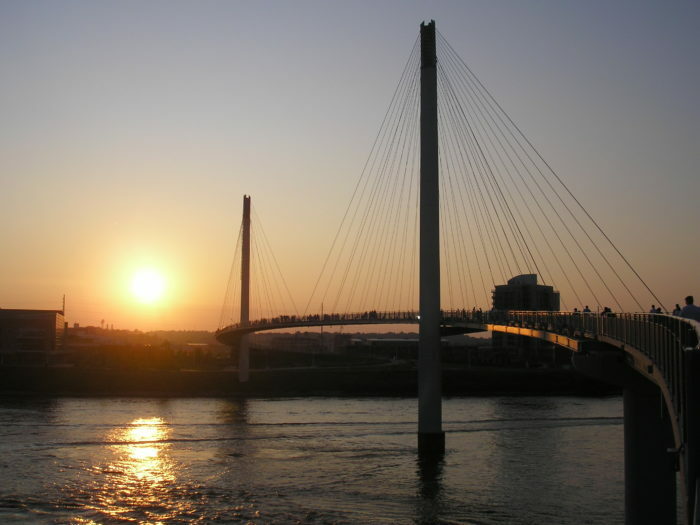 The 3,000-foot-long, 15-foot-wide walkway connects Miller's Landing in Omaha to the Iowa Riverfront Trail in Council Bluffs. Extensive walking paths continue out from the bridge on both sides, so you can walk uninterrupted for miles and miles. The suspension bridge is the first pedestrian footbridge to connect two states. It's a little intimidating to stand there, looking down at the rushing waters of the Missouri, but it makes you really appreciate the safe, sturdy construction. Its serpentine shape is meant to mimic the river itself. 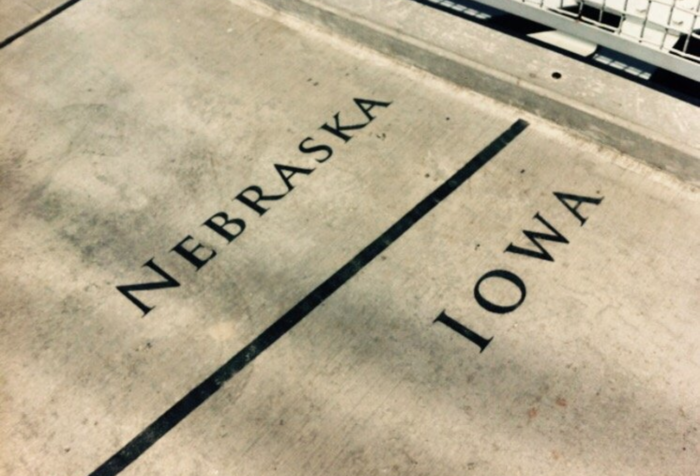 The Nebraska/Iowa state line is officially the middle of the river, so at one point in your walk across the bridge you can stand in both states at once. When walking across the bridge on a weekend, you're almost guaranteed to see people taking pictures of their feet here. 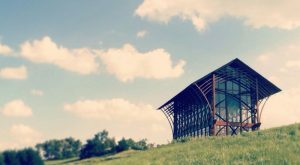 The open, airy design of the bridge lets you feel connected with the sky and your surroundings. The bridge is also open to cyclists and rollerbladers (do people still do that? 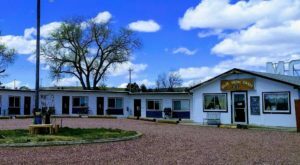 ), and dogs are allowed as long as they are on leashes. The views are absolutely incomparable. 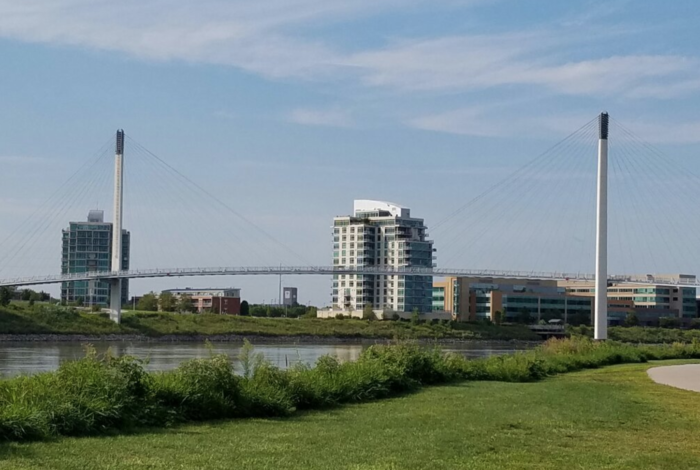 Whether you're looking at the lovely greenery on the Iowa side or the Omaha skyline on the Nebraska side - or maybe the mighty river below - the sights are mesmerizing. 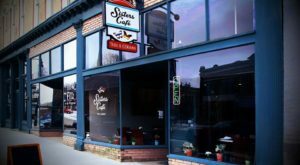 The bridge and its surrounding area are host to several special events throughout the year. 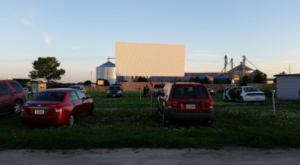 In May and June, concerts are held in the plaza on the Nebraska side. The Independence Day fireworks show in downtown Omaha looks remarkable from up on the bridge - but you have to get there very, very early to secure a viewing spot. 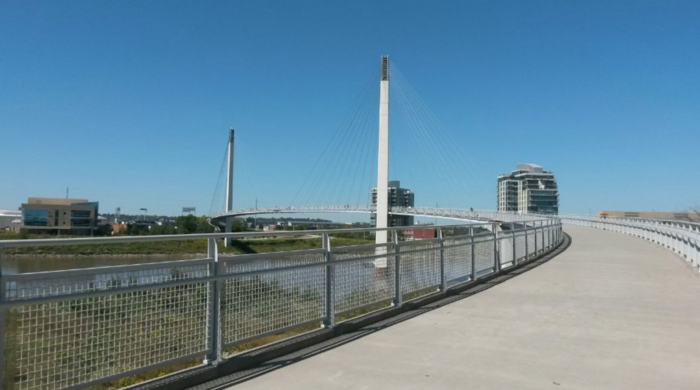 It seemed unlikely at first, but this pedestrian bridge has become a tourist attraction in its own right. 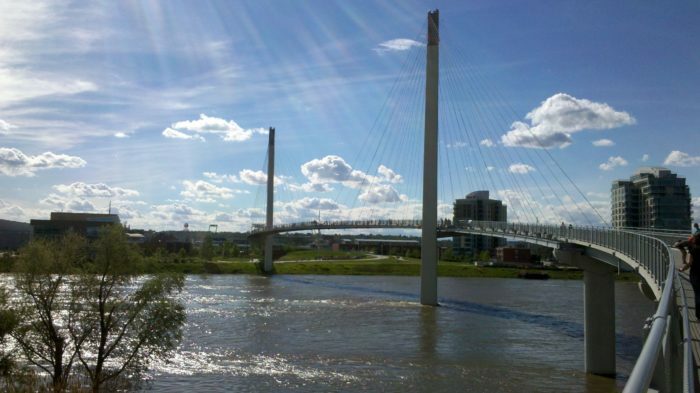 People visiting Omaha make it a point to stroll across the bridge and catch those one-of-a-kind views. The entire span is well lit and features several benches along the way for people who need to rest periodically on the journey or simply want to sit and watch the other pedestrians go by. 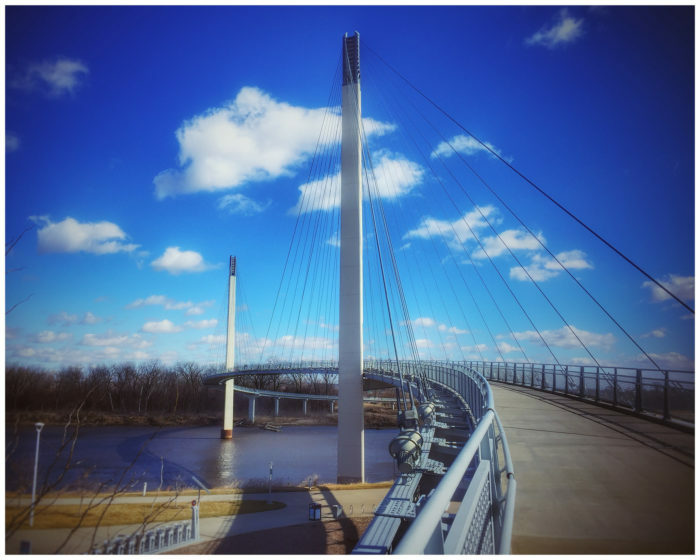 The pedestrian bridge was a joint project between Nebraska and Iowa, and it turned out beautifully. 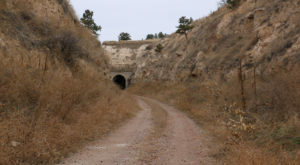 Although there is more to do at the bridge’s terminus on the Nebraska side (sorry, Iowa), the bridge itself is a can’t-miss experience when you’re in the area. 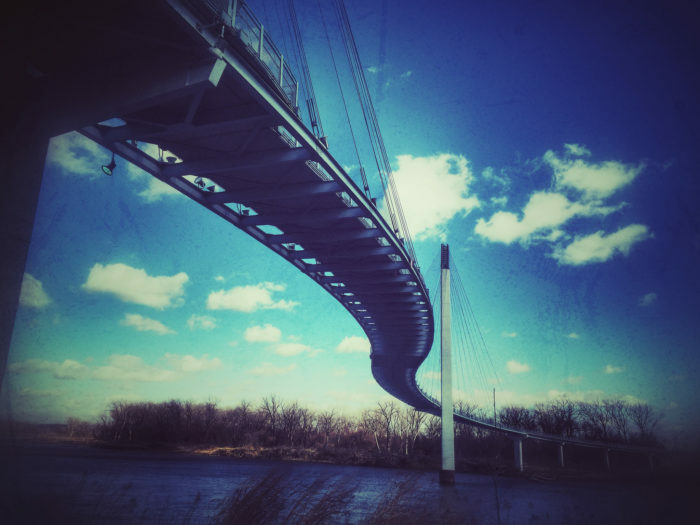 You can even keep up with the bridge on Twitter: @BobTBridge. If you’re a big fan of bridges, check out these 15 lovely bridges – including this one! – on this list.